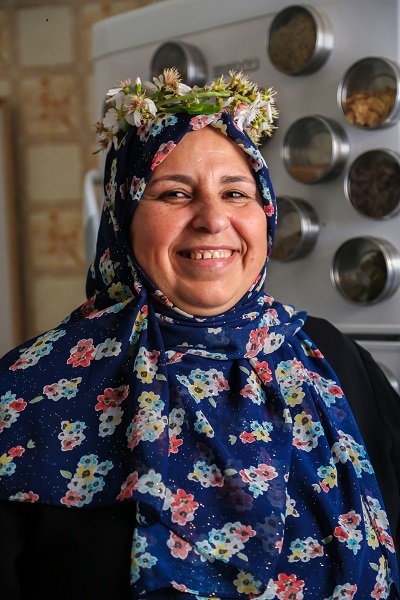 We continue to mark International Women’s Day, this time with a series of photos of Palestinian photographer Samar Abu Elouf, presenting women in Gaza. Faten Abu Serdana, 30. 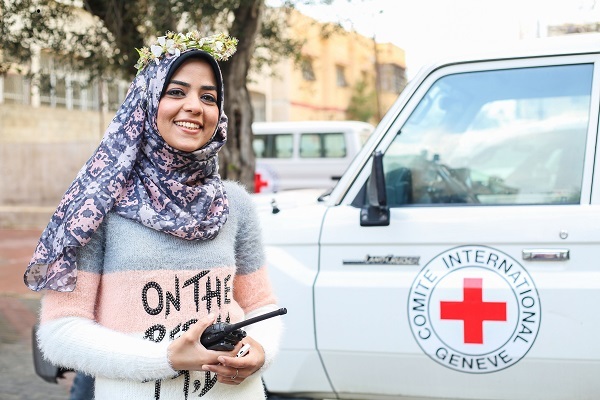 Computer engineer, ICRC radio operator. Being a woman in Gaza means that there are many things I cannot do. I love travelling and exploring new places and cultures, but the people of Gaza can’t move or travel because of the restrictions imposed on us. One reason I’m happy to work for the ICRC is that it has enabled me to attend courses outside Gaza for the first time. 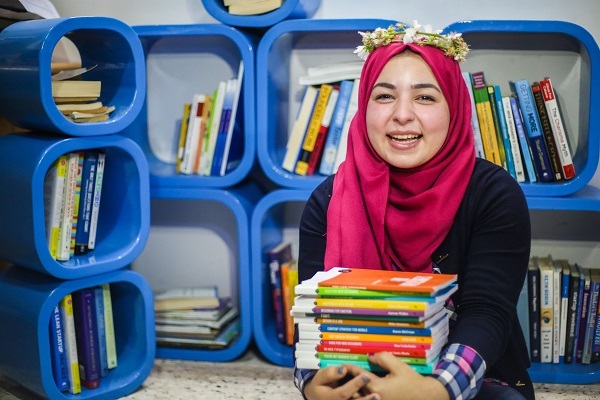 I would like to tell the women of the world that women in Gaza are creative and well-educated. We are not closed-minded. If you want to get to know us better, come and visit us in Gaza! Fatma Abu Mosa, 26. Married, just had her first baby. 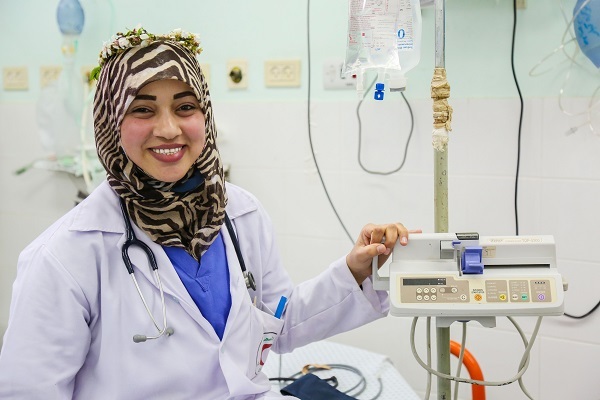 Nurse at the European Gaza Hospital, Khan Younis. 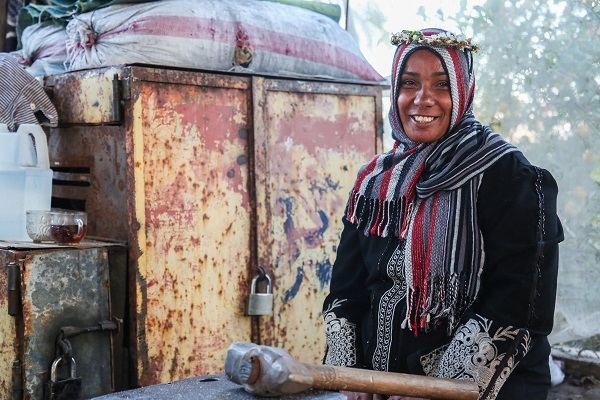 Women in Palestine are strong because they face daily challenges. I feel I’m special and different. From an early age, we have to struggle to pursue our dreams despite the closure [of Gaza] and the wars we’ve been through. Being a woman in Gaza is the most difficult thing and the most beautiful. The most difficult because it requires me to prove myself, because I’m in my early twenties and still thought of as “young.” The most beautiful because I love being in an environment that challenges me. Although that can sometimes become tiring. Nadera Abu Oweimer, 35. Married with five children. Diagnosed with breast cancer when she was 28 years old and pregnant. I waited until I’d had my baby and then started treatment straight away. A year after finishing my cancer treatment, I went to Jordan for a scan and, thank God, everything was clear. After my recovery I started university, getting my degree in 2013. I was proud of being determined to continue my studies despite many around me telling me not to. I ignored them and got my degree. It’s changed my personality, giving me the confidence to take my own decisions for my family and myself. Hanan Lozon, 41. 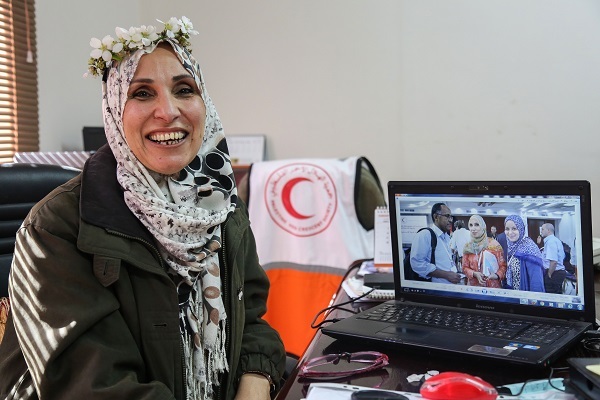 Head of communication and public relations for the PRCS (Palestine Red Crescent Society) for 16 years. What Gaza has been through is unbearable; I doubt anyone or any place in the world could bear to live under continuous wars and under the closure. Any little thing you want to do or achieve takes extra effort and you suffer to accomplish it, while in other places around the world, people do them easily without a thought. But not everything in Gaza is bad. We still have hope and the potential to do more. 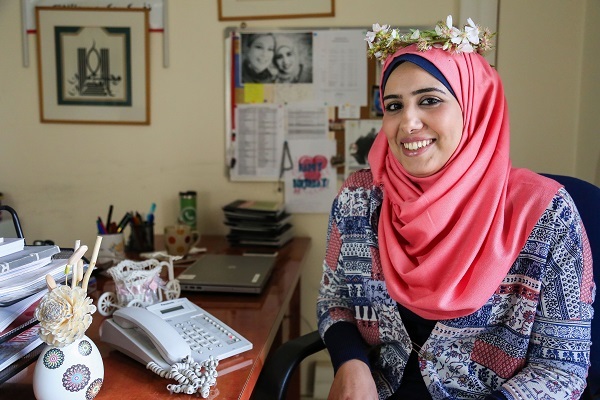 You might be surprised to know that 300 women are active in the Palestine Red Crescent Society. My greatest worry is that the situation in Gaza could remain as it is. If the situation remains the same, it will actually become worse. Nahed Abu Shbak, 43. Married with four children. Has been an ICRC agriculture field officer for two and a half years. I’ve been working with farmers for 17 years. 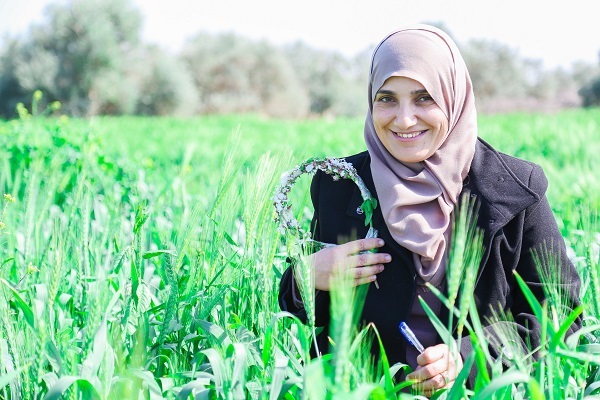 My moment of pride was when we distributed wheat seed after the 2014 war and encouraged farmers in the eastern Gaza Strip to plant the seed and cultivate their land. When we visited it later and saw the green fields with our own eyes and the happiness on the faces of the farmers, I forgot all the pressure and long working hours. Shaymaa Almoamar, 27. ICRC health officer in Khan Younis. My happiest moment was when I graduated from a college that I loved. I felt that I’d achieved something and that from that moment on, I would be able to support myself. I’m proud to be doing humanitarian work. In 10 years, I see myself married, with children, bringing them up to be strong. Salwa Srour Fadel. Kindergarten owner and school bus driver. I started driving the bus four years ago because I received complaints from the children’s families about the drivers I used to employ. So I bought a bus and started to pick up the children myself. It was challenging in the beginning because people were surprised. They stared at me or raised their eyebrows, but I just ignored them and carried on driving. Palestinian men often seem stubborn and appear not to understand, but actually they are always helpful and supportive. As I was the only female bus driver in Gaza they would let me go to the front of the queue when I was buying diesel, out of respect, because I’m a woman. 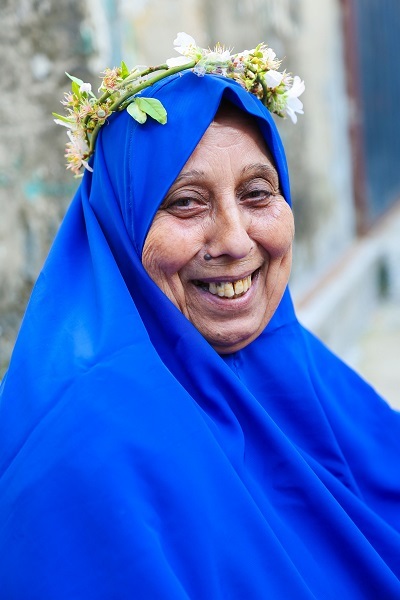 Siham El Assar, 54, from Nusairat. Married with seven children and ICRC housekeeper for ten years. “Conditions in Gaza are very difficult. It’s like living in a prison; we never know whether the border crossings will be open or closed, there are frequent gas and electricity cuts and there is high unemployment. 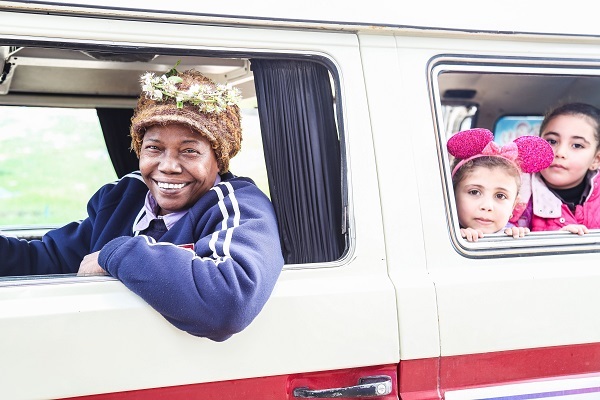 I am the main breadwinner for three families and my job enables me to help my children. My children and their success are my pride. Refqa Abu Nahel, 61. Grandmother. Husband died nine months after they married. She was 19. Their son was 14 days old. I applied for my secondary school certificate at the same time as my son, 28 years after leaving school. I got mine but he didn’t get his – he had to reapply the following year. Once I had my certificate I was able to get a job as the assistant to the head master at a school. It was challenging to raise a child without a father, but I succeeded and I’m proud to have brought up a good son. The happiest moment for me was when my son had a child of his own. As an only child, he had been alone until then. I hope my grandson will have a brother or sister. Aysha Ibrahim, 35. Blacksmith, married with seven children. Blacksmithing is not an easy job and it’s tiring, but I’m happy that I’m helping my husband provide for our children. I produce small items and I sell our products on the market. There are frequent power cuts and it’s hard to get gas, which makes the job that much harder. Basma Elnajjar, 44. Farmer, married with six children. 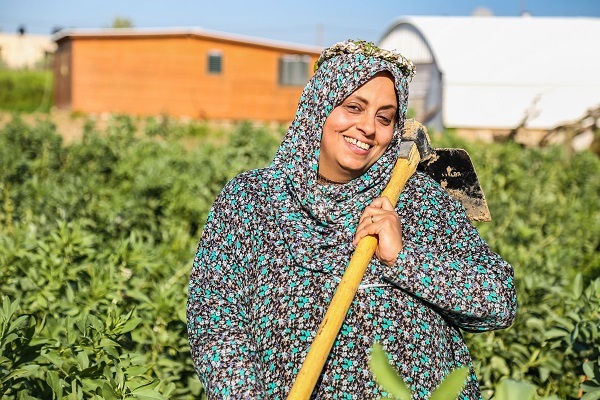 My husband’s land was destroyed in 2008, his losses ran into tens of thousands of dollars. So instead of taking on workers to help bring in the harvest, we the family brought in the crops on our own. This saved us a lot of money, but it was a huge challenge for us. I love baking, so I started to use our crops, such as spinach and wheat, to make pastries and sell them. This has been a success and now I’m receiving orders for big events. I’m proud of the many compliments I receive for my products. 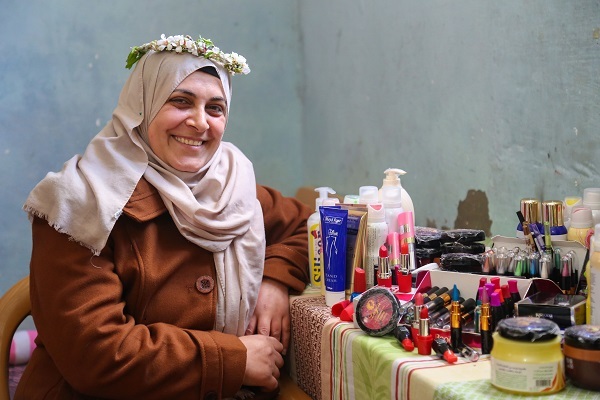 Samar Abu Elouf, 31 years old, is married and a mother of 4 children, aged between 2 and 13 years old. Years after her marriage, she went back to school and studied TV presentation. 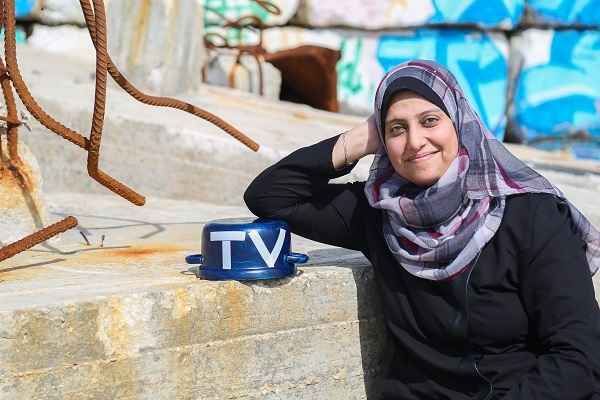 Now, she is a freelance photographer, covering events in the Gaza Strip and telling the stories of its people.